So this is storm is notable for two reasons; the snowfall amounts here and some high wind gusts reported in New England (the storm had dumped 18 inches onto Ithaca’s Game Farm Road weather station by 8 AM Friday morning, probably about 20-24 inches when all is said and done by the end of Saturday), and for letting professional sensationalism rear its ugly head. From the meteorological perspective, this thing wasn’t even a blizzard for us, as winds were never above 35 mph. 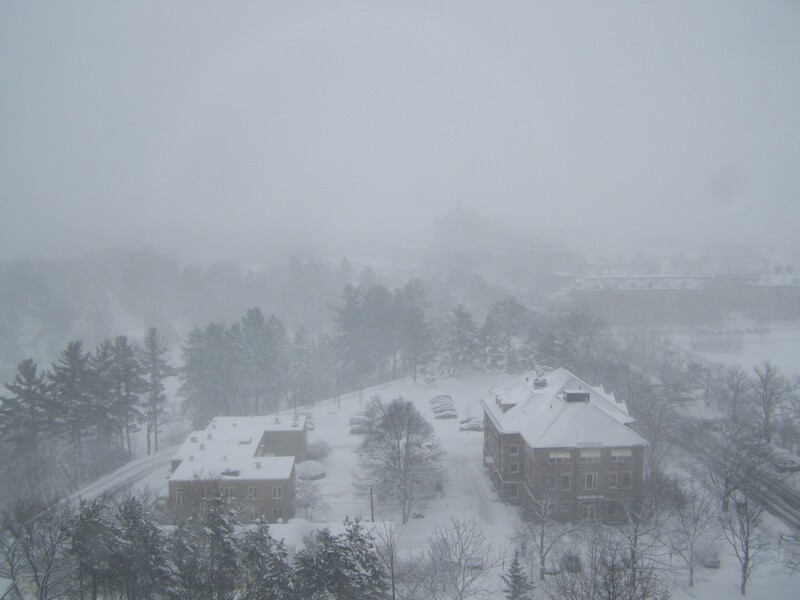 In some parts of the northeast it qualified for blizzard status, but only in a few locations. Most of the windy places were rainy. Most of the snowy places didn’t have strong winds. Only a few spots (excluding mountain tops) had both. The storm bottomed out around 972 mb. That’s a pretty intense Nor’Easter. A strong storm is typically below 984 mb. 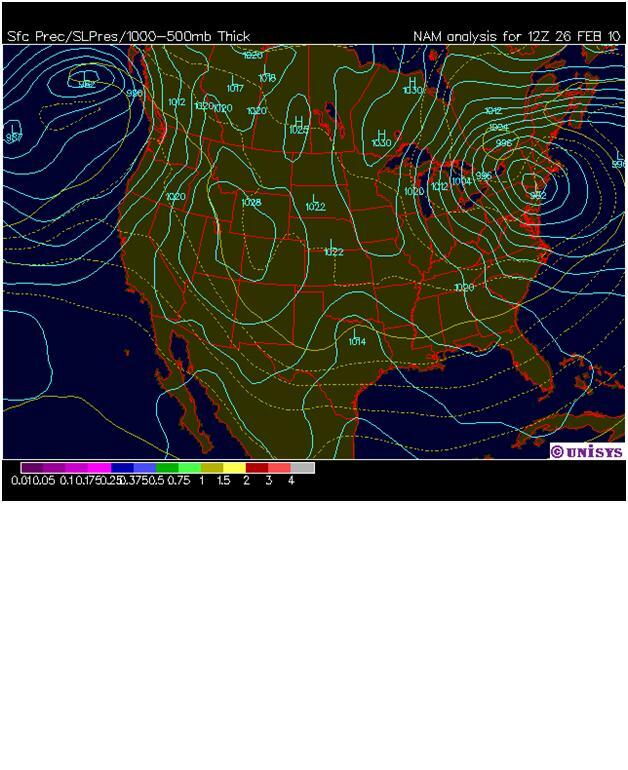 The great Superstorm of 1993 had a central pressure of 960 mb. This was a powerful storm by any means, but certainly not the mother of all winter storms as depicted by some media outlets. “Garbage…Wysocoki’s [sic] misrepresentative critique is what’s garbage….Accuweather clearly explained that their rationale for comparing it to a hurricane was the strength of the low, and guess what? They were right as the storm is currently 978mb and strengthening. Wyscoki [sic again] and the NBC owned Weather Channel (weather.com) are bitter because Accuweather’s meteorologists have fought the tide of meteorologists forecasting based on politics rather than science. Accuweather’s Joe Bastardi, in particular, has been assailed for refuting the notion that the recent stormy weather in the Mid-Atlantic was based on other factors than “man-made” climate change. Part of me is willing to wager that the poster has an affiliation of some sort to Accuweather. They’re only based two hours away in State College, PA (home of Penn State, and where its previous and current CEOs earned their meteorology degrees). But really, what the hell does the weather have to do with politics? Like the two couldn’t be any less related. I’m a moderate Republican, but maybe because I study meteorology I don’t just write off sensationalism as an attempt of slander by the liberal media. I swear, it sounds like something right out of wingnut playbooks (if you don’t understand something, don’t worry about being uneducated, just blame it on people you hate). This is an issue of a company trying to capitalize on the fad of snow neologisms like “Snowmageddon” and “Snowpocalypse”, and being called out by other outlets for being irresponsible. No one expects Armageddon or the apocalypse with a snowstorm. But get a few people who don’t know better to hear “snowicane”, and suddenly they have thoughts of Katrina and blizzards meshed into some horrible monster of a weather system (speaking of which, Accuweather was also chastised for calling this storm “a monster”). Interacting with people in meteorology has shown me that there is an expected level of professionalism and objectivity in forecasting, and that many in the field saw Accuweather’s descriptions as crossing the line. Yet people are twisting this argument from an issue of professionalism in a scientific field to an argument based on political bickering. This is going to make me so bitter in a few years. On a final note, Cornell last closed in 1993 for the aforementioned Superstorm (also known as the Storm of the Century — and these were posthumous titles). 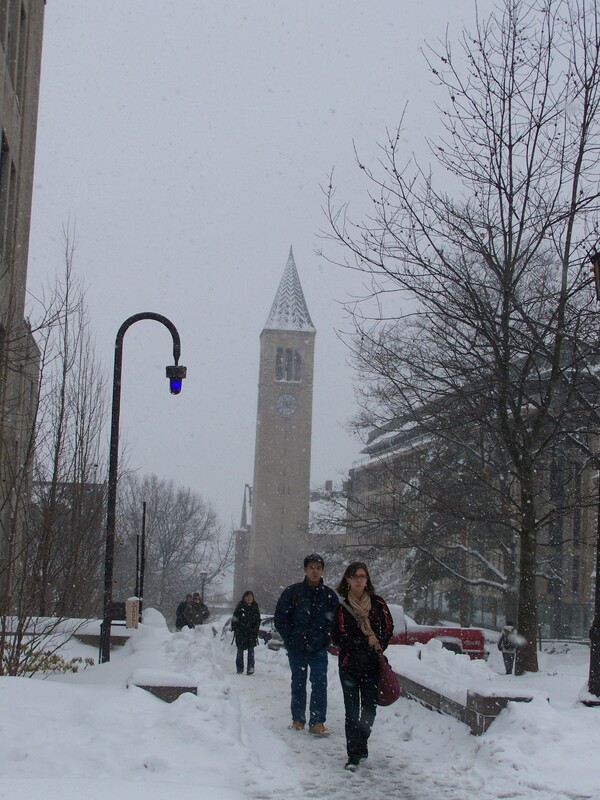 Cornell will only close if the Tompkins County sheriff shuts down the main roads like Route 13 due to extreme inclement weather conditions. Seriously, I was astounded that Cornell even gave a two-hour delay. I haven’t had those since high school. Actually, we had a similar “closure” back in my freshman year (Valentines Day, I believe), where early morning classes were canceled. I thought the closures for that storm were in the afternoon? I was definitely at 9 AM bio that day (but only half my class made it in).